Amsterdam (ˈæmstərdæm, ˌæmstərˈdæm, ɑmstərˈdɑm) is the capital and most populous municipality of the Kingdom of the Netherlands although it is not the seat of the government, which is The Hague.The city is located in the province of North Holland in the west of the country. It comprises much of the northern part of the Randstad, one of the larger conurbations in Europe. As the commercial capital of the Netherlands and one of the top financial centres in Europe, Amsterdam is considered an alpha world city. Amsterdam's name derives from Amstelredamme indicative of the city's origin as a dam of the river Amstel. 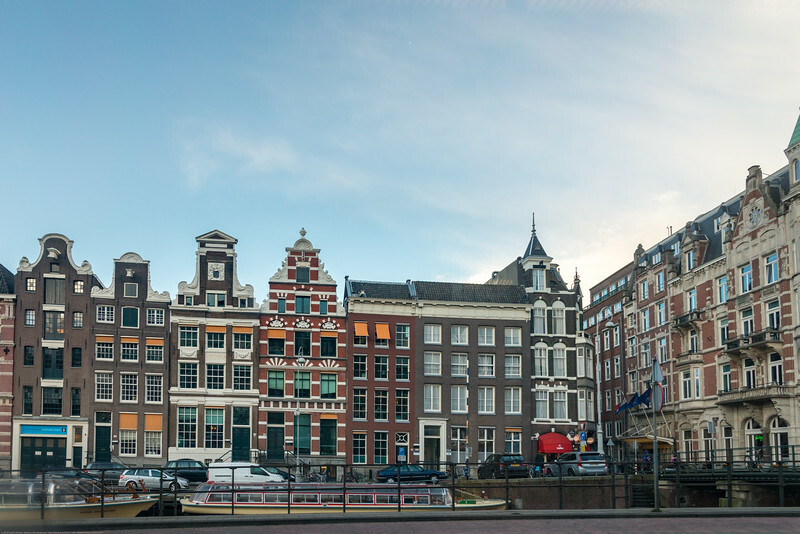 Originating as a small fishing village in the late 12th century, Amsterdam became one of the most important ports in the world during the Dutch Golden Age (17th century), a result of its innovative developments in trade. During that time, the city was the leading center for finance and diamonds.In the 19th and 20th centuries the city expanded, and many new neighbourhoods and suburbs were planned and built. The 17th-century canals of Amsterdam and the 19–20th century Defence Line of Amsterdam are on the UNESCO World Heritage List. Rembrandtplein (Rembrandt Square) is a major square in central Amsterdam, the Netherlands, named after the famous painter Rembrandt van Rijn who owned a house nearby from 1639 to 1656. 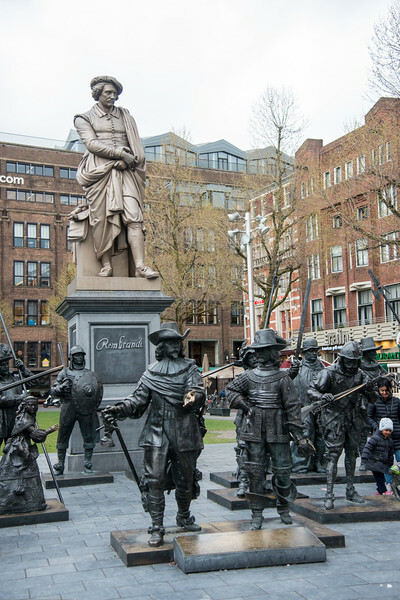 The sculptures of the Night Watch in 3D at the Rembrandtplein in Amsterdam in 2006-2009. 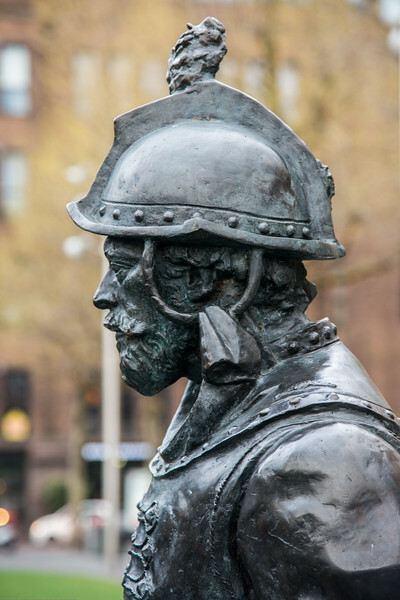 As part of the celebration of the artist's 400th birthday in 2006, a bronze-cast representation of his most famous painting, The Night Watch, by Russian artists Mikhail Dronov and Alexander Taratynov was displayed around the Royer work. This bronze-cast representation of the famous painting was on display for three-years. 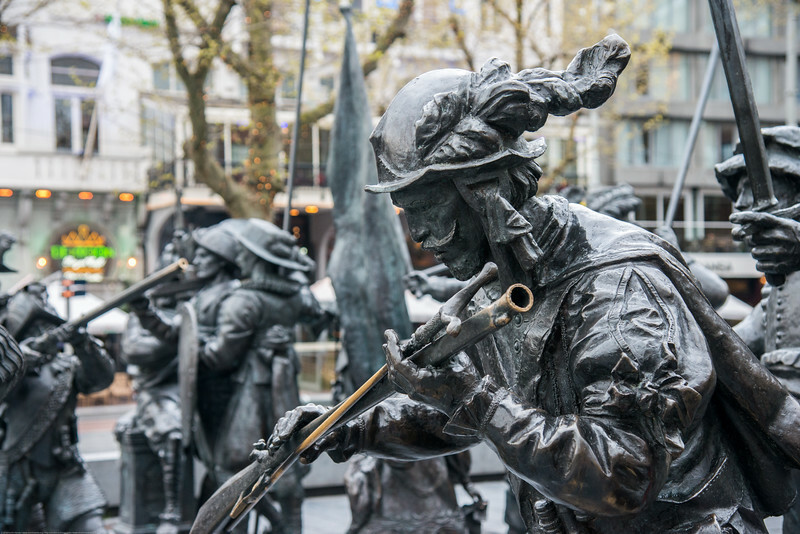 Rembrandt monument on Rembrandtplein. Rembrandtplein (Rembrandt Square) is a major square in central Amsterdam, the Netherlands, named after the famous painter Rembrandt van Rijn who owned a house nearby from 1639 to 1656. 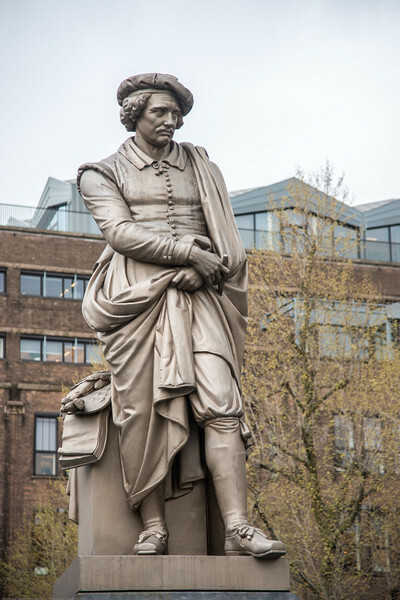 The statue of Rembrandt was made in 1852 by sculptor Louis Royer and is of cast iron. 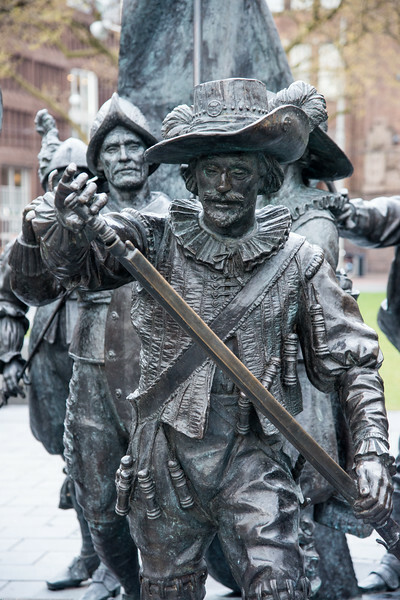 It was cast in one piece and it is Amsterdam's oldest surviving statue in a public space. 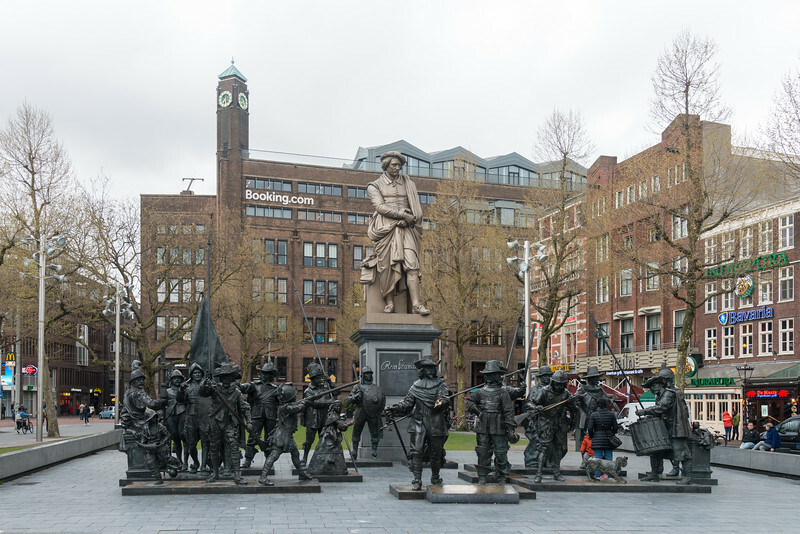 Rembrandt monument on Rembrandtplein. Rembrandtplein (Rembrandt Square) is a major square in central Amsterdam, the Netherlands, named after the famous painter Rembrandt van Rijn who owned a house nearby from 1639 to 1656. Rembrandtplein (Rembrandt Square) is a major square in central Amsterdam, the Netherlands, named after the famous painter Rembrandt van Rijn who owned a house nearby from 1639 to 1656. By the early twentieth century, the square developed into a centre for nightlife drawing artists, young people and laborers. To serve these visitors, several hotels, cafés and entertainment venues opened in the adjoining streets. The area continues to be popular with residents and tourists. 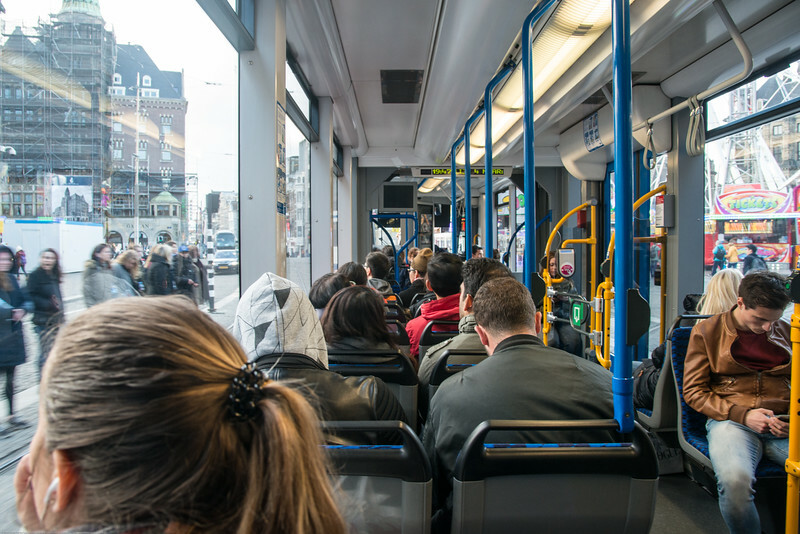 Public tram service. 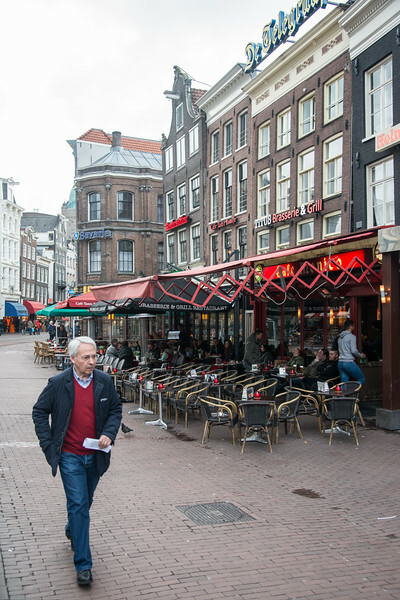 Ride in Amsterdam, Netherlands, Europe is comfortable and fun. Typical Dutch houses seen in Amsterdam, Muntplein, Netherlands, Europe. 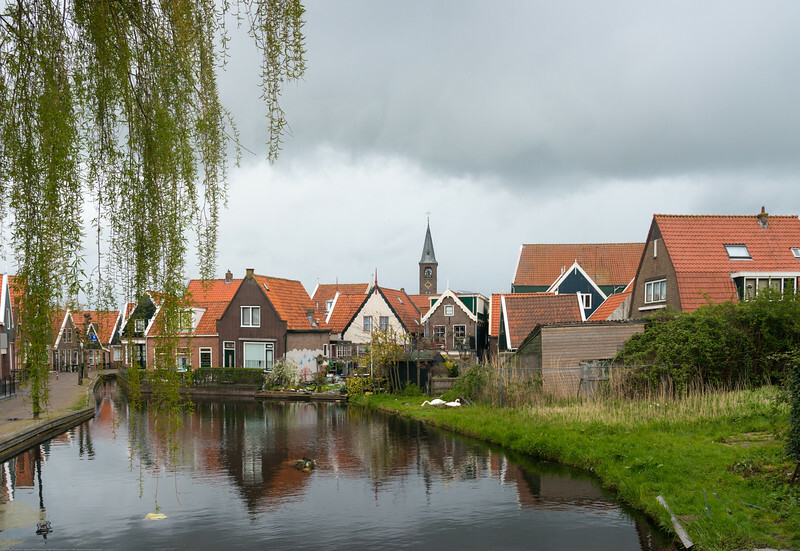 Dutch houses and their reflection. Volendam, Netherlands near Amsterdam. 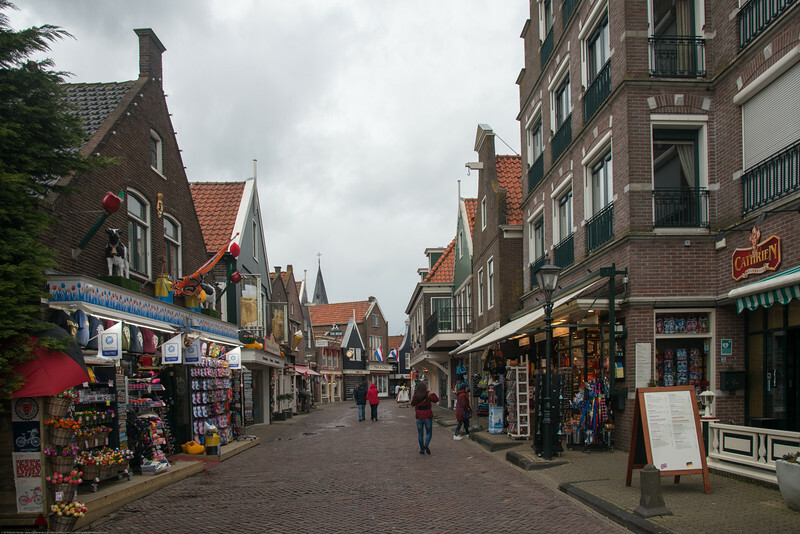 Waterfront shops and restaurants at Volendam, Netherlands near Amsterdam. 't Havengat bistro with the Heineken sign in Waterland, located right at the Volendam Marina where you board the Volendam-Marken Express. 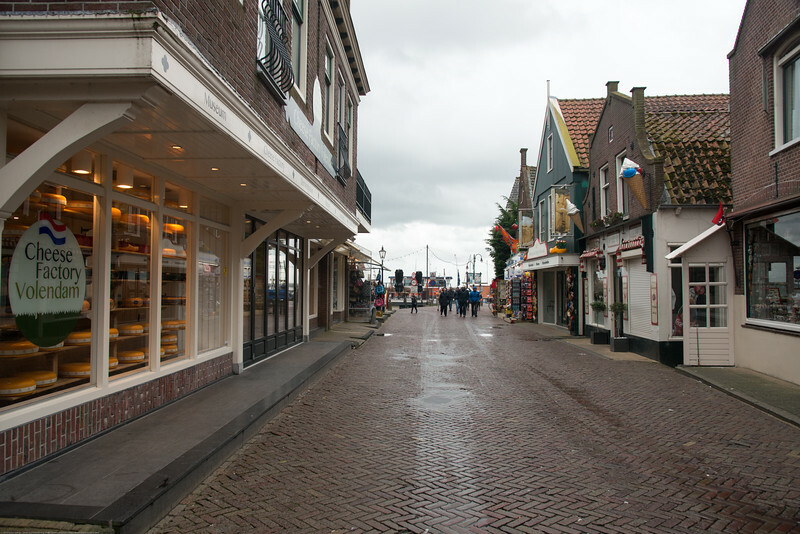 Shops and restaurants at waterfront walkway, Volendam, Netherlands near Amsterdam. 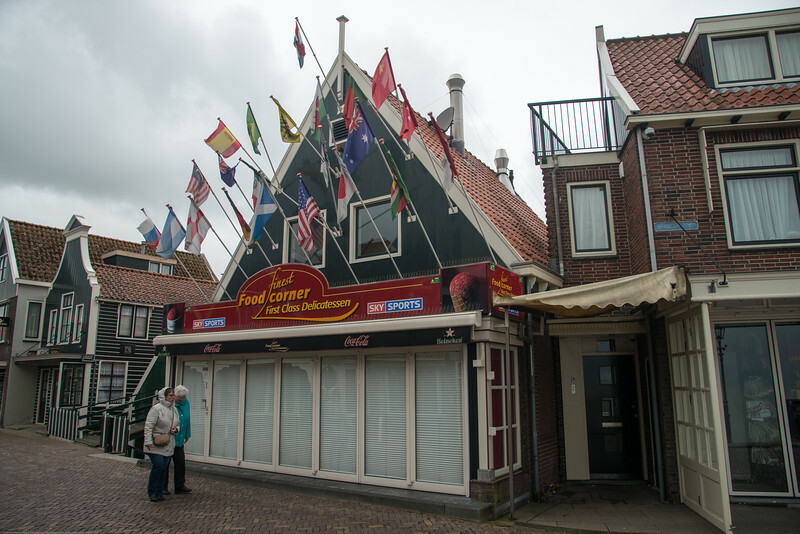 Restaurants and shops at waterfront, Volendam, Netherlands near Amsterdam. 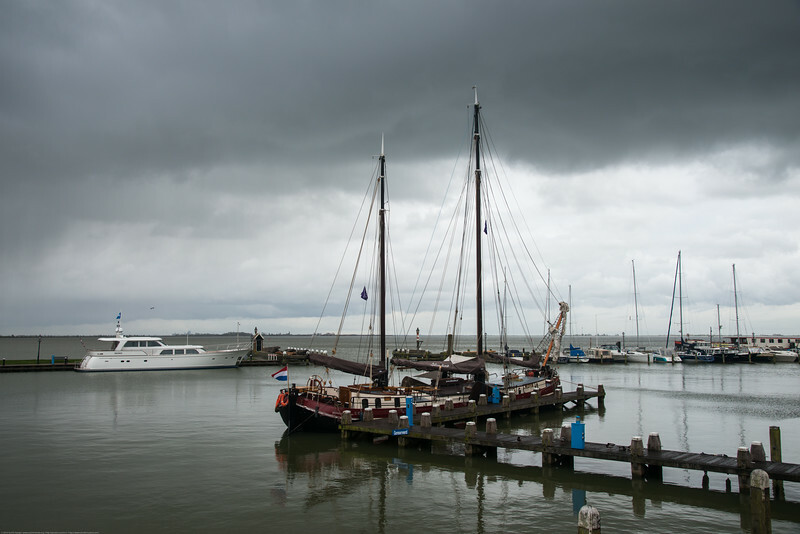 Volendam Marina where you board the Volendam-Marken Express. 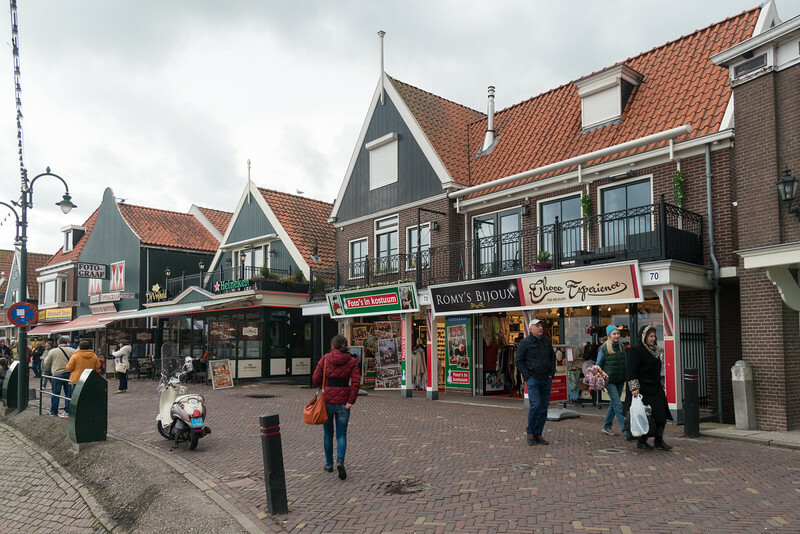 Shops and restaurants at waterfront, Volendam, Netherlands near Amsterdam. 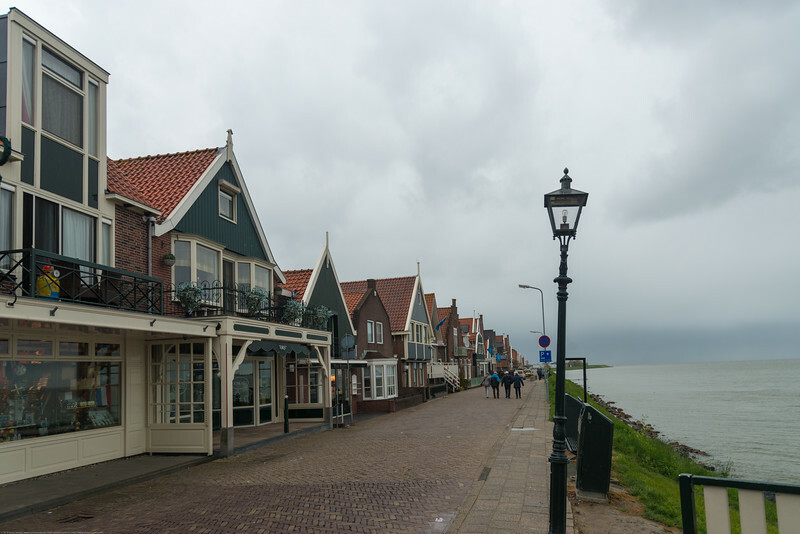 Waterfront shops and restaurants at Volendam, Netherlands near Amsterdam. 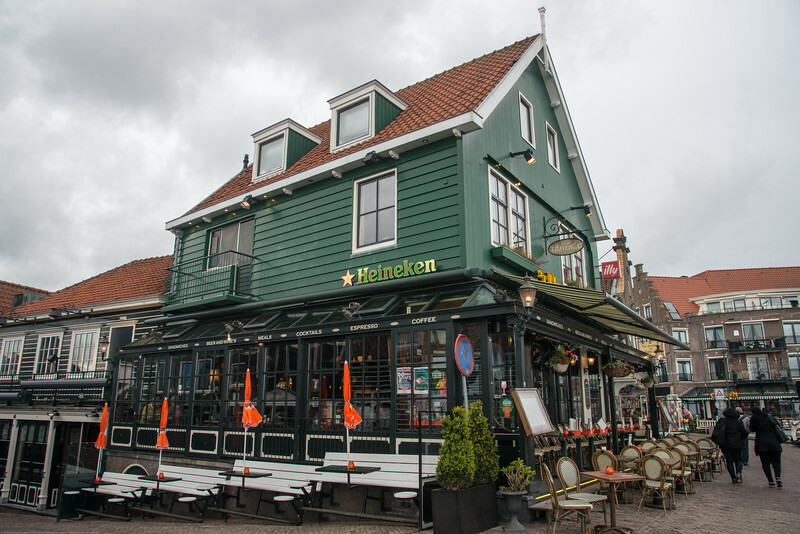 't Havengat bistro in Waterland, located in the beautiful harbor of Volendam with the Heineken sign. 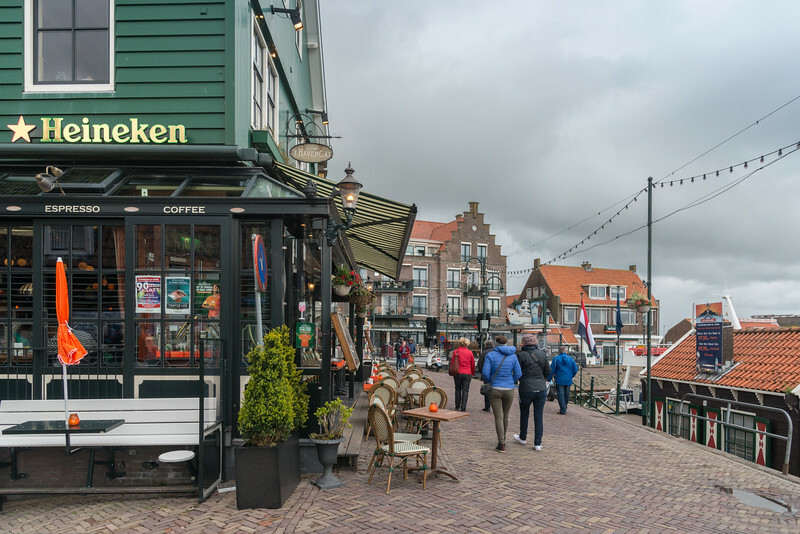 Restaurants at the Volendam waterfront in Netherlands near Amsterdam. 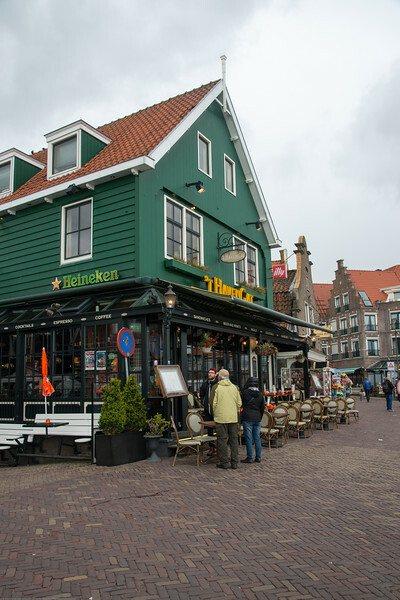 't Havengat bistro in Waterland, located in the beautiful harbor of Volendam with the Heineken sign. 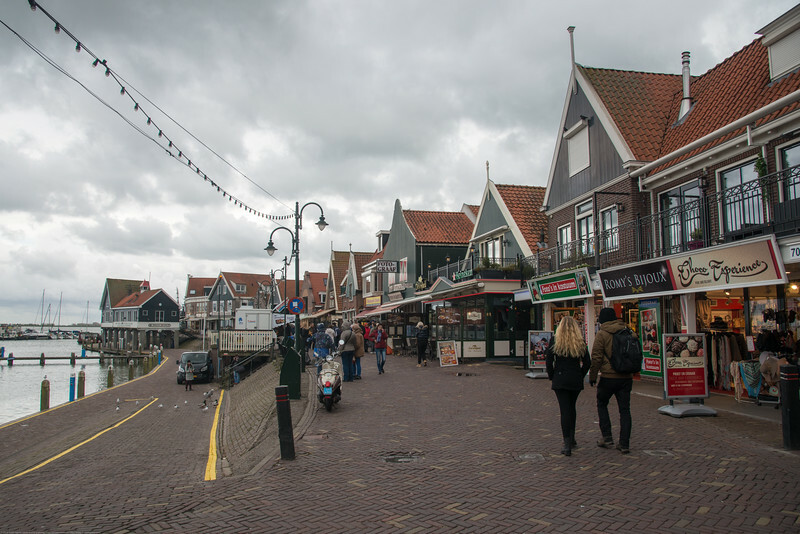 Shops and restaurants at waterfront, Volendam, Netherlands near Amsterdam. 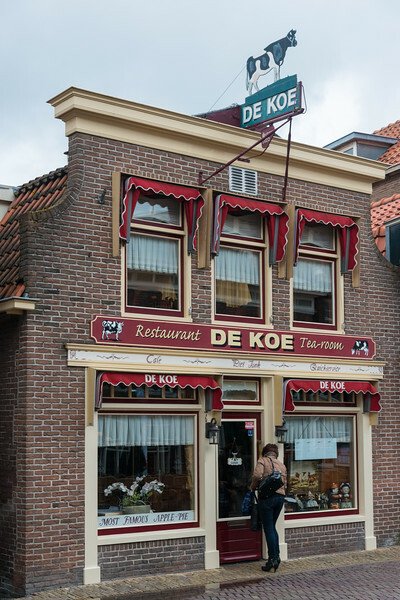 De Koe Tea Room at Volendam, Netherlands near Amsterdam. 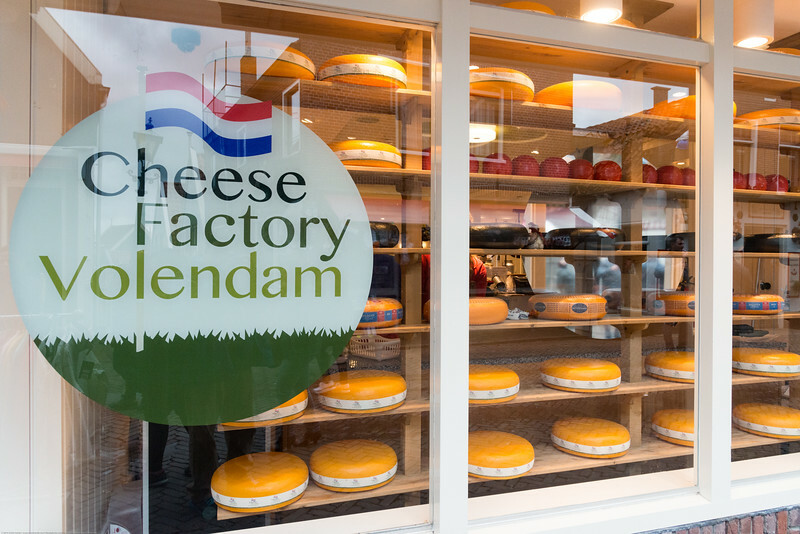 Cheese Factory Volendam, Netherlands near Amsterdam in Europe. Finest Food Corner. Water-front shops as well as restaurants at Volendam, Netherlands near Amsterdam. 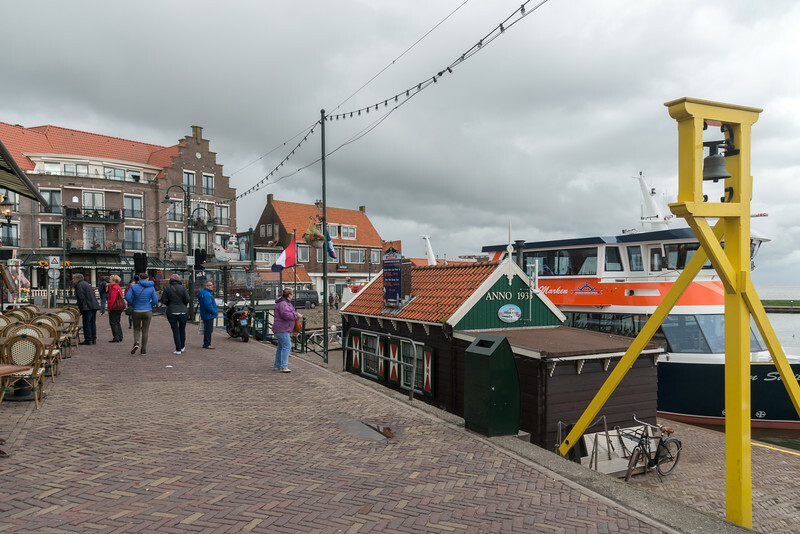 Water-front shops as well as restaurants including Cheese Factory at Volendam, Netherlands near Amsterdam. 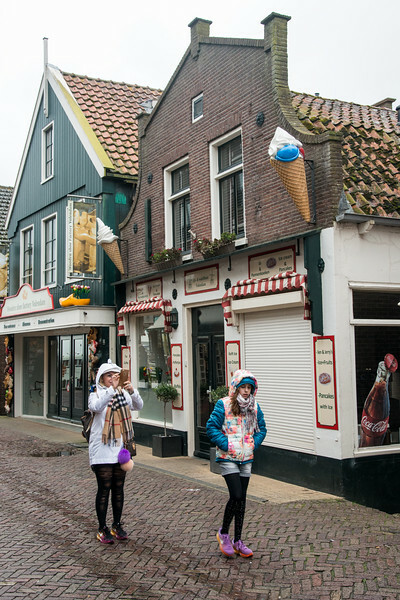 Visitors at water-front shops as well as restaurants at Volendam, Netherlands near Amsterdam. Walk way at the water front at Volendam, Netherlands near Amsterdam. 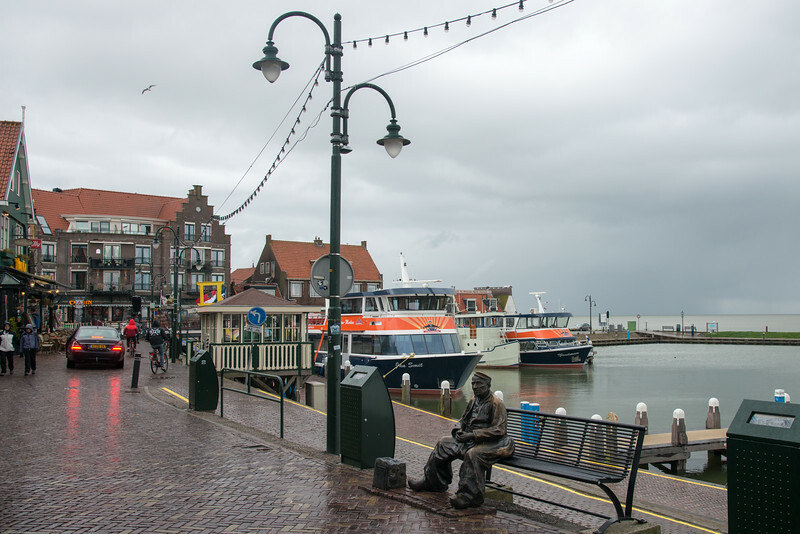 Volendam Marina where you board the Volendam-Marken Express. 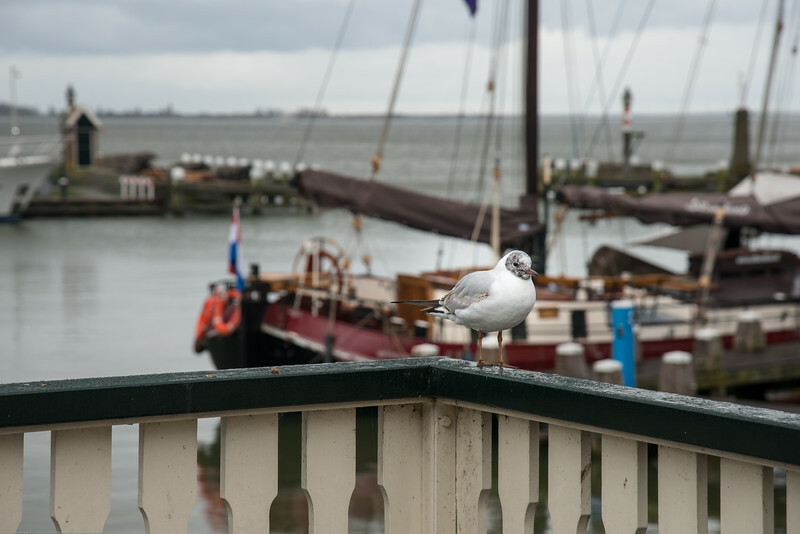 Perched and watching the boats at the water front at Volendam, Netherlands near Amsterdam. Boats at the water front at Volendam, Netherlands near Amsterdam. 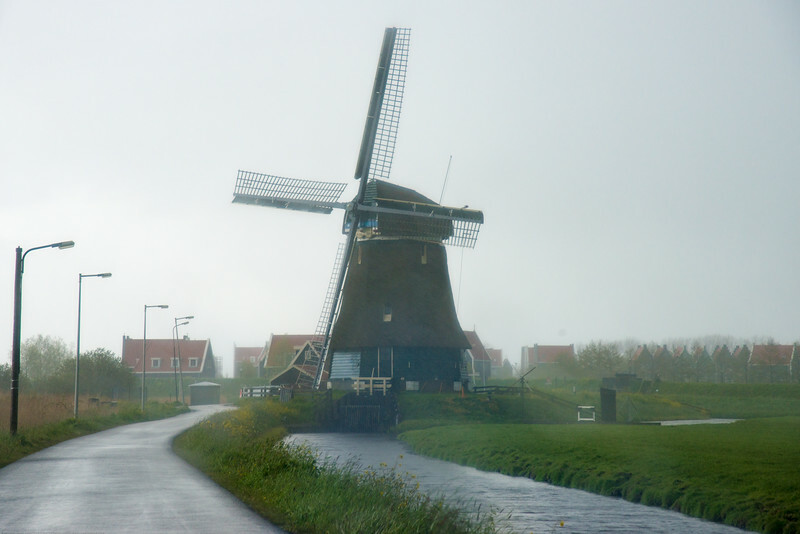 Windmills in the rains seen on the way to Volendam, Netherlands enroute to Amsterdam. 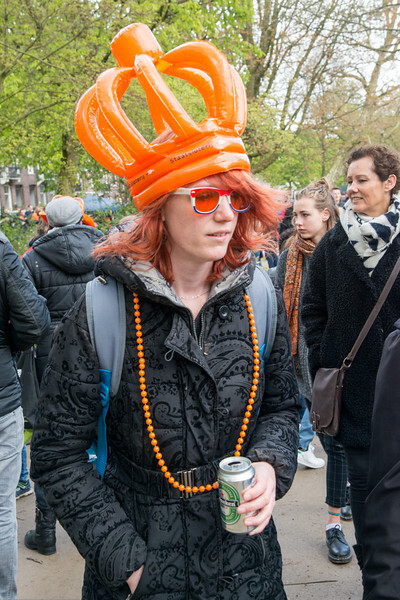 Orange hat and glasses on King's Day (formerly Queen's Day) celebrations in Amsterdam at Sarphatipark. 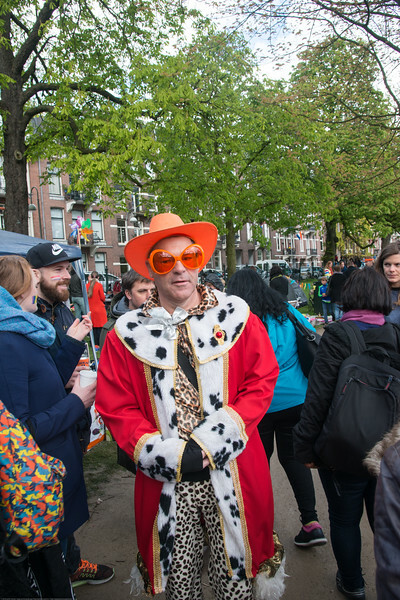 King's Day 2016 - Koningsdag 2016 is the Dutch national holiday held on Wednesday 27 April 2016. Following the abdication of Queen Beatrix in 2013 and the inauguration of King Willem-Alexander. Orange ballon crown on King's Day (formerly Queen's Day) celebrations in Amsterdam at Sarphatipark. 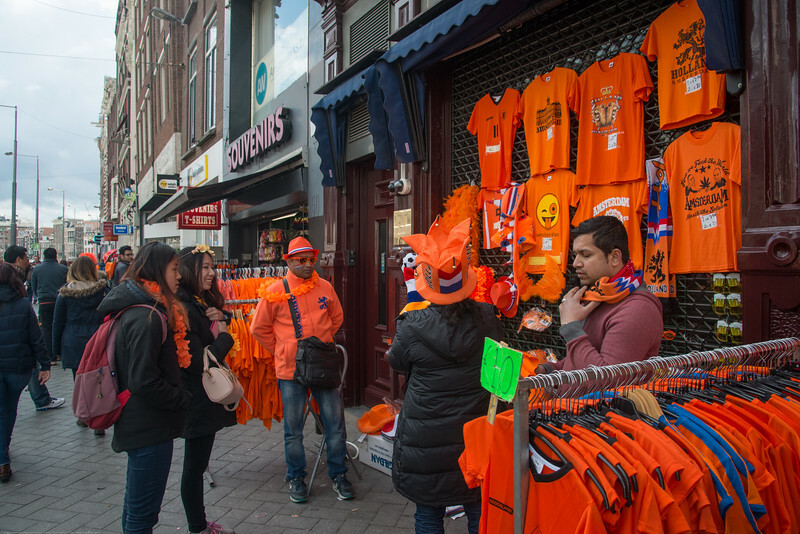 Everyone dressed in the predominant orange colour on King's Day (formerly Queen's Day) in Amsterdam. King's Day 2016 - Koningsdag 2016 is the Dutch national holiday held on Wednesday 27 April 2016. Following the abdication of Queen Beatrix in 2013 and the inauguration of King Willem-Alexander, Queen's Day (30 April, the birthday of former Queen Juliana) has become King's Day (27 April, birthday of Willem-Alexander). 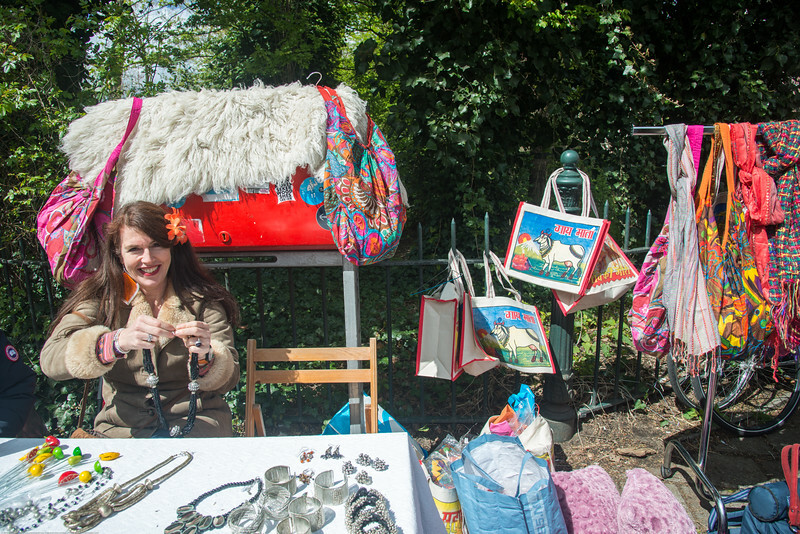 One of the main highlights of King's Day is the citywide free market (vrijmarkt). This is where people set up stalls and sell clothes, food, drinks and just about anything else - from plants, old electronics, vintage items, bric-a-brac and a load of old tat. Prices are negotiable which is all part of the fun. Many Amsterdam residents set up shop directly outside their own houses - days before they mark their territory with tape ("bezet" meaning "occupied"). There are also professional traders and opportunists who take advantage of the tax-free trading. 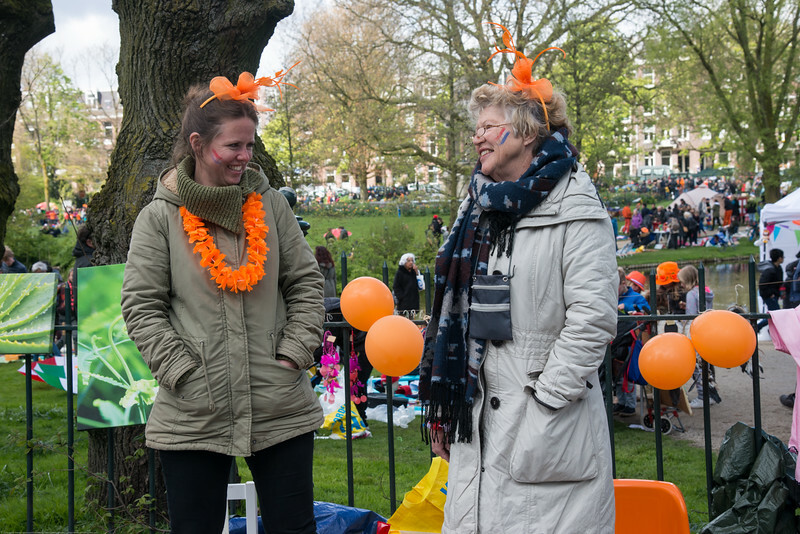 Everyone full of joy and exuberance on King's Day (formerly Queen's Day) celebrations in Amsterdam at Sarphatipark. 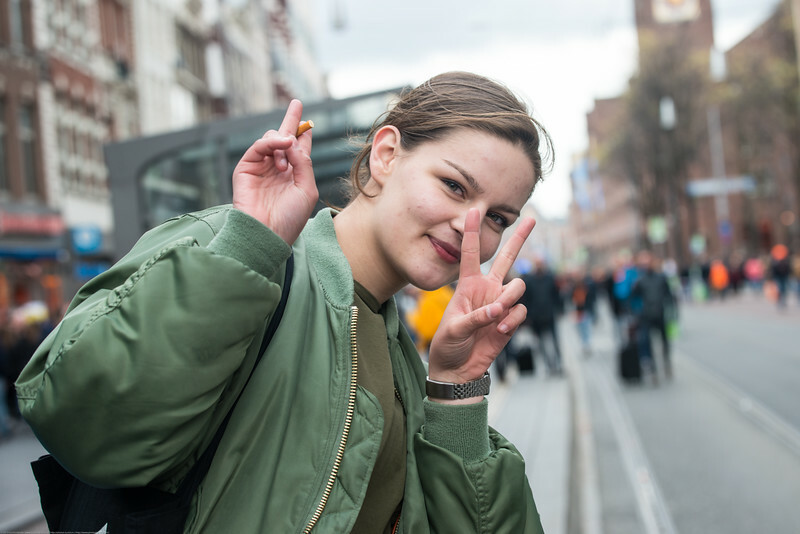 Lady with a "take a picture" sign on King's Day (formerly Queen's Day) in Amsterdam. King's Day 2016 - Koningsdag 2016 is the Dutch national holiday held on Wednesday 27 April 2016. Following the abdication of Queen Beatrix in 2013 and the inauguration of King Willem-Alexander, Queen's Day (30 April, the birthday of former Queen Juliana) has become King's Day (27 April, birthday of Willem-Alexander). One of the main highlights of King's Day is the citywide free market (vrijmarkt). 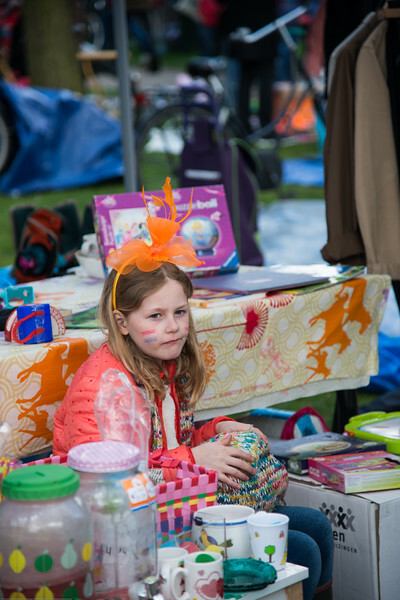 Little girl in orange selling items on King's Day (formerly Queen's Day) in Amsterdam. King's Day 2016 - Koningsdag 2016 is the Dutch national holiday held on Wednesday 27 April 2016. Following the abdication of Queen Beatrix in 2013 and the inauguration of King Willem-Alexander, Queen's Day (30 April, the birthday of former Queen Juliana) has become King's Day (27 April, birthday of Willem-Alexander). 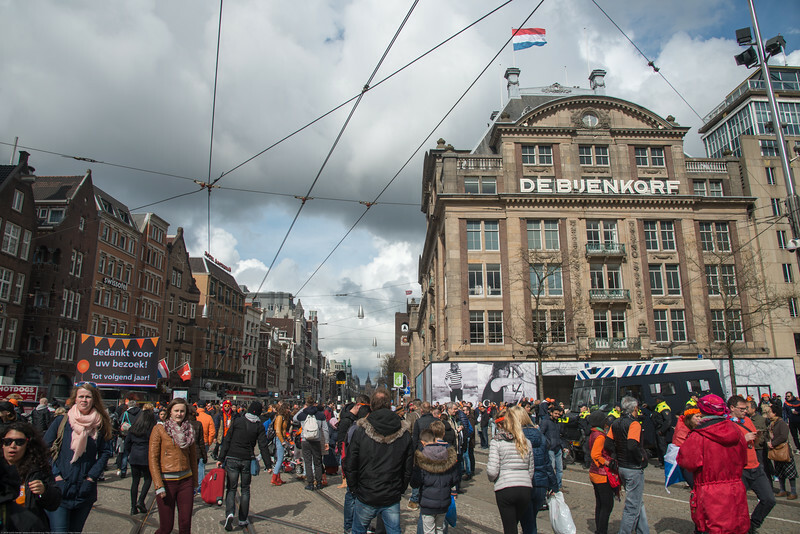 One of the main highlights of King's Day is the citywide free market (vrijmarkt). This is where people set up stalls and sell clothes, food, drinks and just about anything else - from plants, old electronics, vintage items, bric-a-brac and a load of old tat. Prices are negotiable which is all part of the fun. 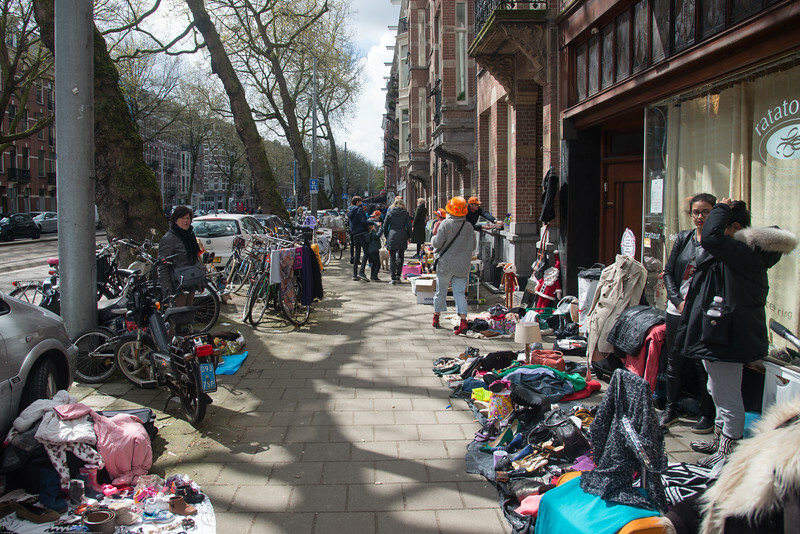 Many Amsterdam residents set up shop directly outside their own houses - days before they mark their territory with tape ("bezet" meaning "occupied"). 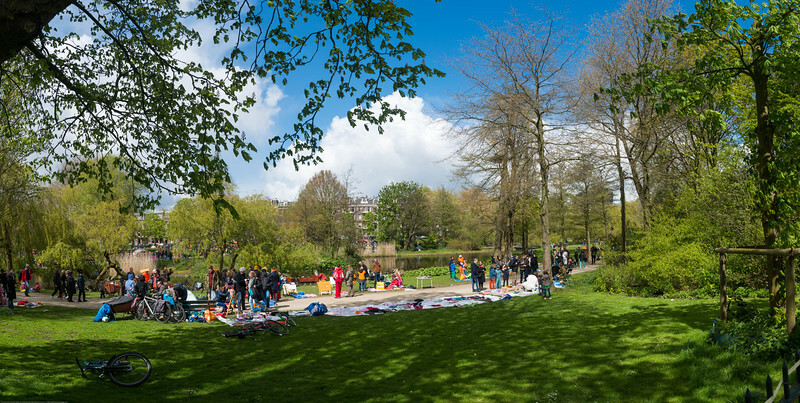 Panoramic Sarphatipark, Amsterdam, Netherlands on King's Day (formerly Queen's Day). King's Day (formerly Queen's Day) in Amsterdam at the Sarphatipark. 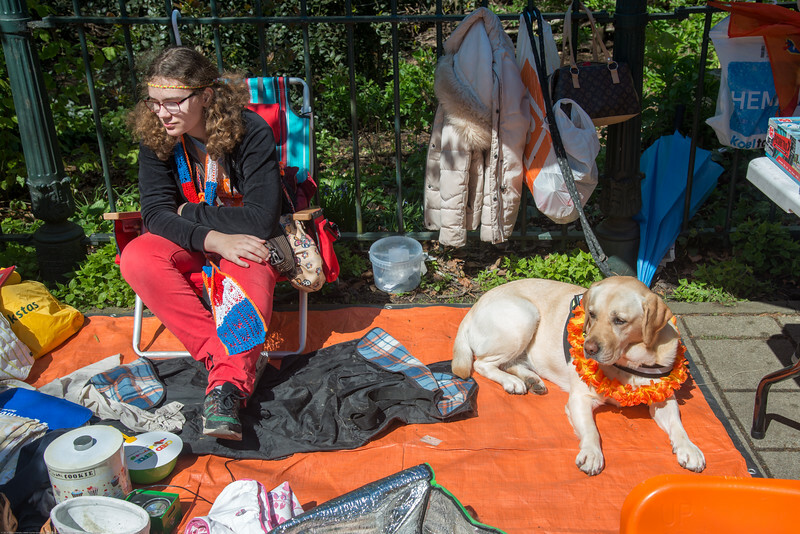 King's Day (formerly Queen's Day) celebrations in Amsterdam at Sarphatipark. "Guy maata" bags and other Indian items on sale at the King's Day (formerly Queen's Day) in Amsterdam. Out no the streets on King's Day (formerly Queen's Day) in Amsterdam. 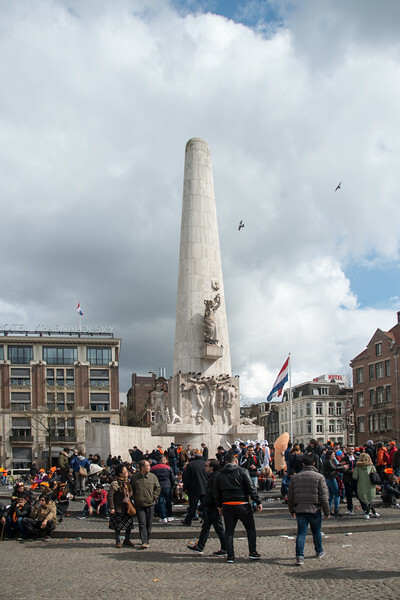 National Monument (Nationaal Monument), is a white travertine monument with relief sculpting & the national site for the remembrance of WWII on King's Day (formerly Queen's Day) celebrations in Amsterdam. King's Day 2016 - Koningsdag 2016 is the Dutch national holiday held on Wednesday 27 April 2016. Following the abdication of Queen Beatrix in 2013. 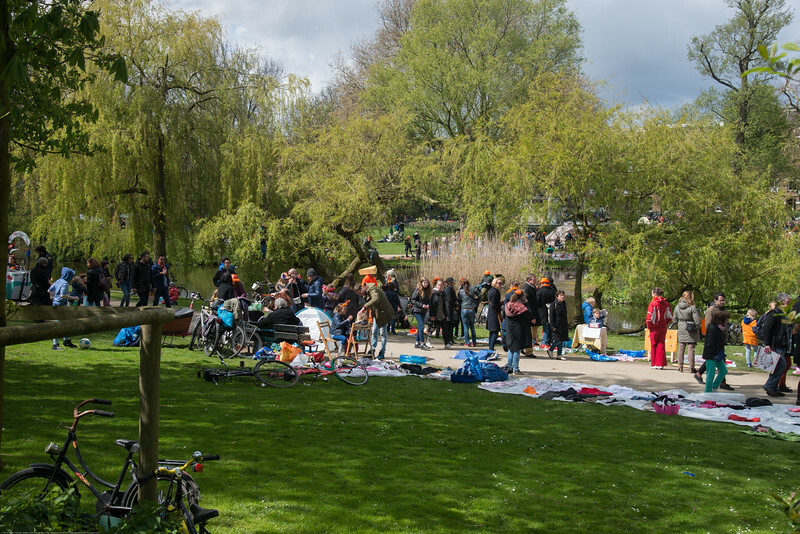 Many Amsterdam residents set up shop directly outside their own houses and come to the open spaces. 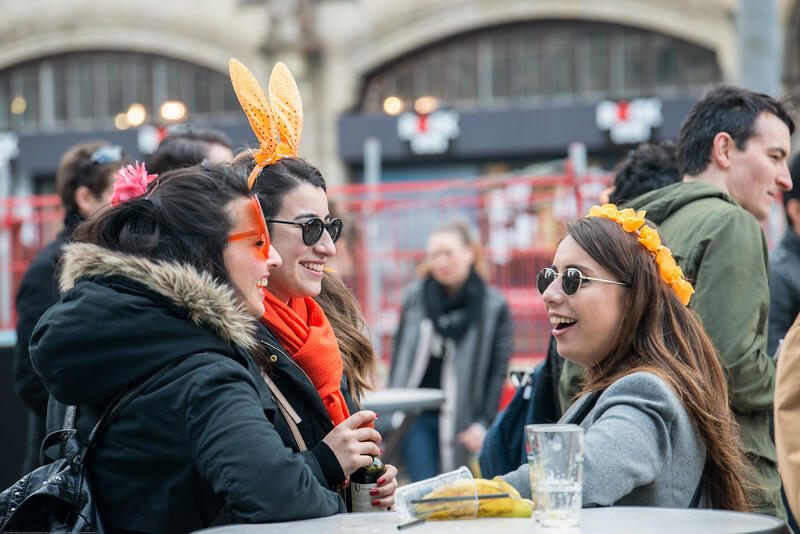 King's Day (formerly Queen's Day) festivities invite locals and visitors alike to soak up Amsterdam's open-air fun. In the streets, canals, parks and everywhere in between, the city is bursting with orange as Amsterdammers enjoy the biggest street party of the year. Electric atmosphere amidst orange-pride, live music, DJs, parties and a citywide street market. King’s Day — Formerly Queen’s Day — is the annual Dutch national holiday in honor of King Willem-Alexander. On King’s Day there are celebrations throughout the Netherlands. However, the most popular destination is Amsterdam where an average of 700.000 visitors join the 822.000+ locals in the world’s largest street party. 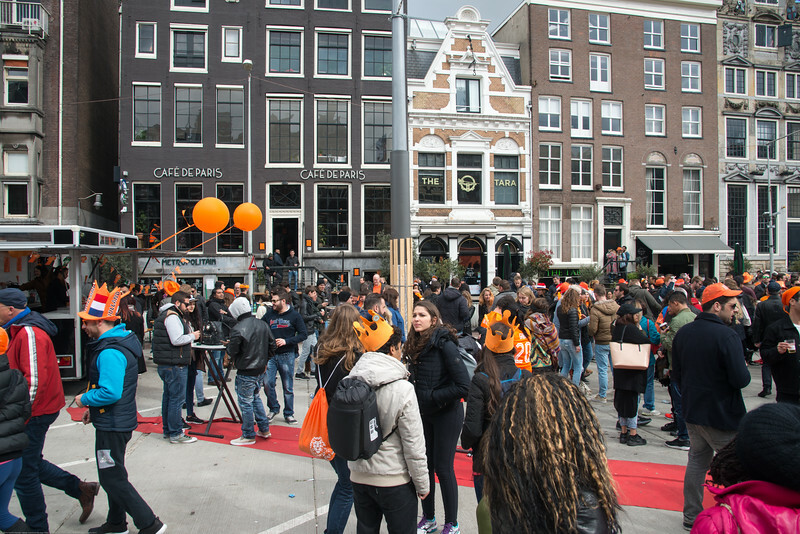 King's Day (formerly Queen's Day) festivities invite locals and visitors alike to soak up Amsterdam's open-air fun. In the streets, canals, parks and everywhere in between, the city is bursting with orange. Electric atmosphere amidst orange-pride, live music, DJs, parties and a citywide street market. Throughout the city, there are pick-up bands, aspiring opera singers, teenage rappers and street discos. Drum bands have been very popular the past few years. Huge concerts are organized at various locations in the city, such as Dam square, Rembrandtplein and Museumplein. King's Day (formerly Queen's Day) festivities throughout the city, professional street performers vie for attention. There are pick-up bands, aspiring opera singers, teenage rappers and street discos. Rio-style drum bands have been very popular the past few years. In the past, huge concerts were organized at various locations in the city, such as Dam square, Rembrandtplein and Museumplein. 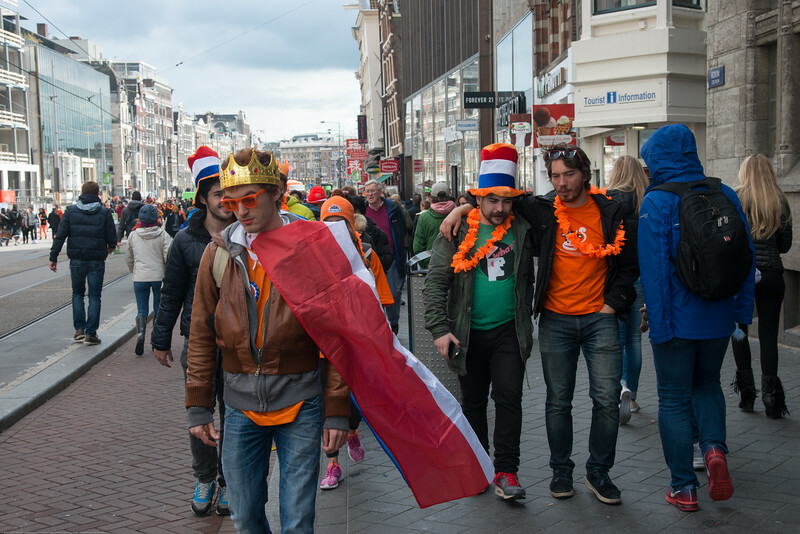 Party revelers celebrating on the streets on King's Day (formerly Queen's Day) festivities in Amsterdam, Netherlands, Europe. 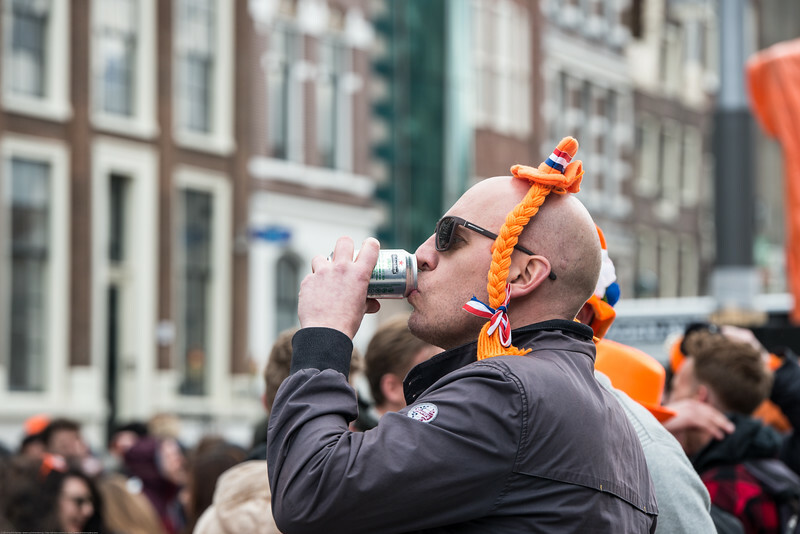 Party revelers having beer in the streets on King's Day (formerly Queen's Day) festivities in Amsterdam, Netherlands, Europe. 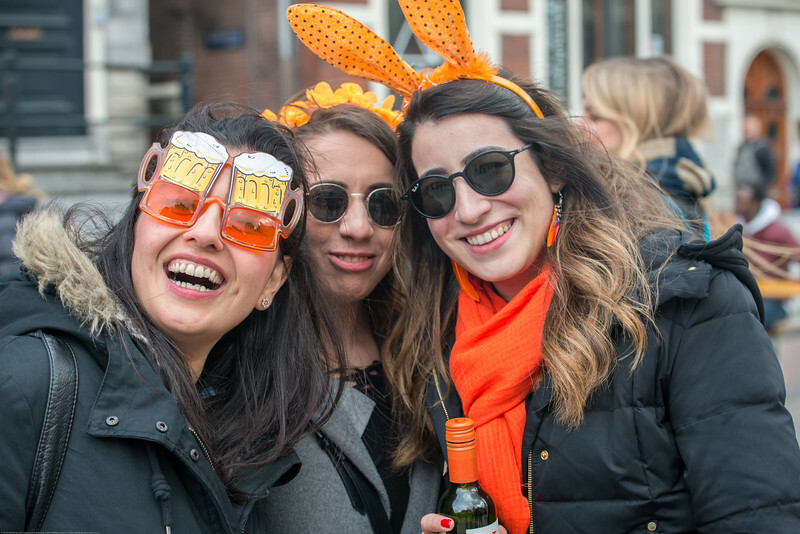 Party revelers enjoying in the streets on King's Day (formerly Queen's Day) festivities in Amsterdam, Netherlands, Europe.